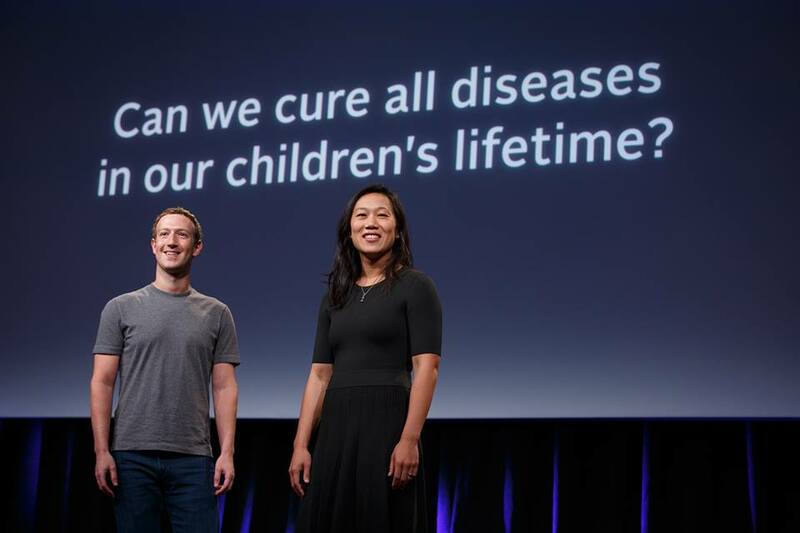 Mark Zuckerberg, the Facebook chief executive is very optimistic that today’s scientists can cure, prevent and manage all diseases by the end of this century. He and his wife, Priscilla Chan, committed $3 billion to finding a cure for diseases through their philanthropic arm, the Chan Zuckerberg Initiative. “We will be investing in basic science research with the goal of curing disease,” Chan, a pediatrician, said in a live announcement in San Francisco on Wednesday. “We asked ourselves, in our children’s lifetime, is it possible for them to learn a hundred times what we do today? Can we ease the suffering of many by curing, preventing or managing all diseases that affect us now? These are big questions and they are extremely personal for me,” she explained. Cori Bargmann, a neuroscientist at the Rockefeller University in New York, has been appointed the incoming president of Chan Zuckerberg Science. Bargmann’s job, according to Chan, is to develop a strategy and partner with the academe, and the biotechnology and engineering industries to help realize their vision. The first investment under the initiative is a $600-million fund to build the Biohub, which will bring together leading scientists from Stanford University, the University of California, Berkley and the University of California, San Francisco (UCSF), along with a world-class engineering team to help develop new tools to understand and treat diseases. “The Biohub will be led by Joe DeRisi (UCSF), a biochemist known for his genomics approach to infectious disease, ranging from the the deadliest form of malaria to a wide range of viruses; and Stephen Quake (Stanford), a biophysicist and bioengineer who developed a number of measurement tools to help us better understand health,” Chan said. The Chan Zuckerberg Initiative was founded in December 2015 and was announced on the birth of their daughter Max. It has since been involved in various education initiatives in US schools. In adopting healthcare as the second focus area of their philanthropic work, Zuckerberg said he was inspired by the work of his mentor, technology billionaire Bill Gates, whose own philanthropic work through the Bill and Melinda Gates Foundation has led to many healthcare breakthroughs. Gates, who made a surprise appearance towards the end of the event in San Francisco, acknowledged that science could do more in tackling the world’s health problems and the contribution of the Zuckerberg couple would go a long way. 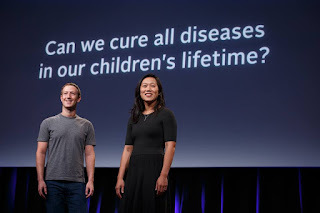 Zuckerberg said that his engineering background and his wife’s science background combined led them to believe that these two disciplines could find a cure for diseases that would make today’s children live longer. The Facebook chief said it is easy to imagine what tools may be used to develop cures for major diseases - artificial Intelligence (AI) software to help with imaging the brain to push our understanding and make progress on neurological diseases, machine Learning to analyze large databases of cancer genomes, a chip to be able to diagnose any infectious disease, continuous bloodstream to be able to identify disease early, and a map of the different cell types in our bodies so people designing drugs can reference that to quickly design drugs at any given disease outbreak. “These are the kinds of tools that we want to focus on building at Chan Zuckerberg Science. And more broadly, this focus on building tools suggests a roadmap for how we may go about curing, preventing and managing all diseases in this century. Because if we could develop new tools that would allow us to see categories of diseases, then we can empower scientists all around the world with much faster progress,” he said. Bargmann affirmed that the goal of Chan Zuckerberg Science is to improve these tools, scale them up, and put them into as many hands as possible so every scientist can do the best experiments. She said that one of the growing interest in the scientific community, for example, is the idea of a Cell Atlas, a comprehensive resource with the locations, numbers and molecular properties of all the different cell types in the human body. “We need this information to develop new understanding and cures for diseases in all areas of medicine,” she said. Zuckerberg acknowledged that building these tools would require a large number of scientists and engineers working together for long periods of time. “This is going to be a long-term process. It would take years to build the first tools and it would take years after that before they will be able to really cure diseases. We have to be patient,” he said.